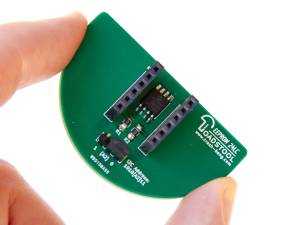 Simply connect this EEPROM module to the standard header on your Toadstool and your project has memory. 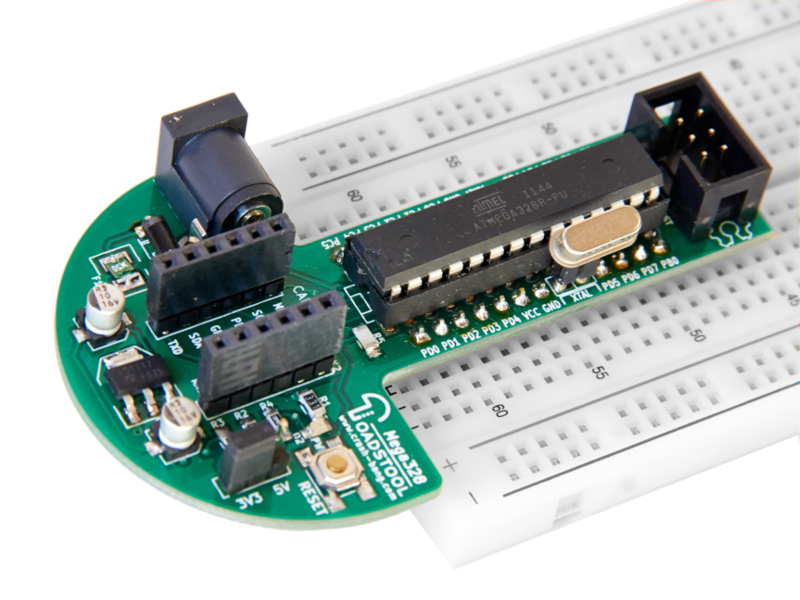 The EEPROM module is self-contained with all the supporting components you need to permanently store that data you’re logging or the configuration settings you don’t want to keep setting. Toadstool Caps are designed to be connected to a range of Toadstool prototyping boards, using a standard header that supplies power and SPI, I2C and UART signals. The range of Toadstool Prototyping boards contain a variety of microcontrollers from multiple manufacturers. Toadstool boards have been developed to be flexible and powerful, are self-contained, and connect directly to a breadboard. 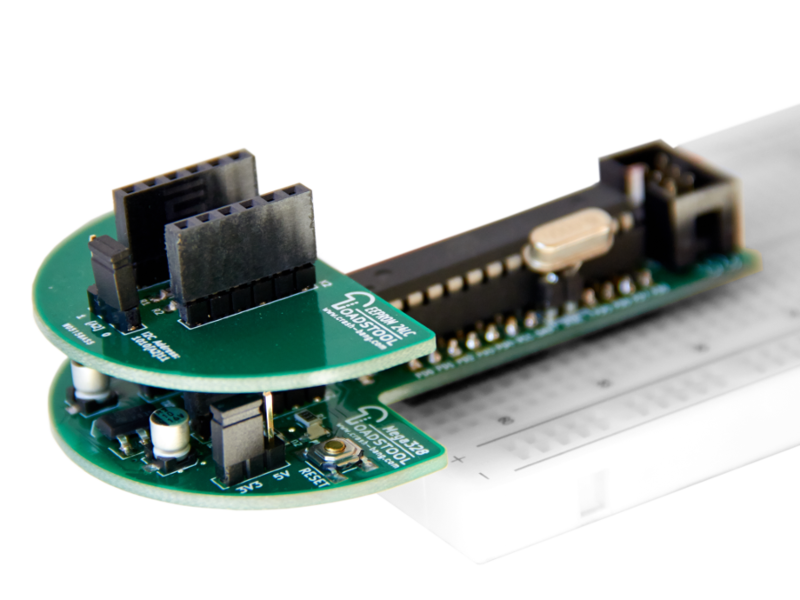 They enable you to get your microcontroller projects up and running quickly, minimise the ratsnest of wires you’re used to, and bring flexibility to your projects. All Toadstool boards share a standard header to allow you to attach breakout modules called Caps. This header contains SPI, I2C and UART signals, so you can easily add SPI, I2C/TWI or UART modules to your project without having to wire them up on the breadboard (you’ll never forget a pullup resistor on your I2C module again!). We’re big believers in open source hardware, and so have released the Toadstool ecosystem as an open source one. Hopefully you will support that, and send us feedback to improve the product for everyone.